Several explosions and gunfire could be heard near the flashpoint eastern Ukrainian town of Slavyansk Monday, according to an AFP reporter there, as Kiev seeks to flush out pro-Moscow rebels holed up there. Fighting broke out in a nearby village on the "front line" of the siege of the town of at least 110,000 people amid what Kiev calls an "anti-terrorist" operation, a rebel spokeswoman said. The insurgents have been launching near daily assaults on the town's television tower, sparking brief exchanges of fire with the army encircling the town. European Union foreign ministers expanded sanctions over Russia's actions in Ukraine on Monday, adding two Crimean companies and 13 people to the bloc's sanctions list, EU diplomats said. The sanctions are in addition to 48 Russians and Ukrainians who have already been targeted with EU asset freezes and visa bans since Russia annexed Ukraine's Crimea region in March. Ukraine's eastern Luhansk region will not participate in a presidential election on May 25, Russia's RIA news agency reported on Monday, citing one of the region's separatist leaders. the vote showed that 96.2 percent supported autonomy for the region. "As of today, we are now the Republic of Luhansk, which believes it to be inappropriate and perhaps even stupid to hold a presidential election," the agency cited a spokesman for the pro-Russian separatists. "We have decided to adopt a new list of people subject to sanctions as well as entities that have benefited from the illegal annexation of Crimea. This decision has confirmed the EU's great determination to make sure the territorial integrity and sovereignty of Ukraine is respected." 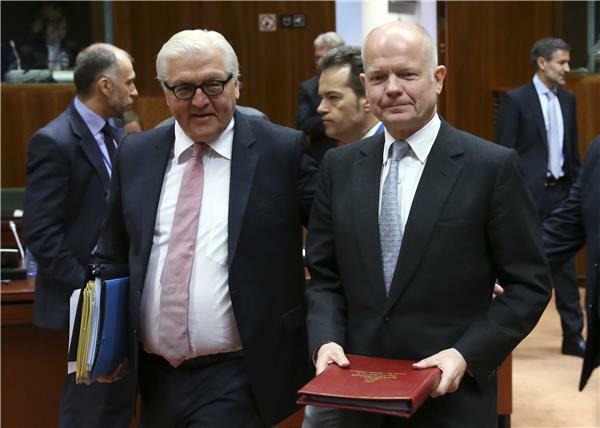 The EU is intensifying diplomatic efforts to get Ukraine's leadership and pro-Moscow rebels to the negotiating table, as the Oranisation for Security and Cooperation in Europe (OSCE) says Moscow supports a de-escalation roadmap for the crisis. German Foreign Minister Frank-Walter Steinmeier will kick things off with an early morning visit to Kiev to support a "national dialogue" between Ukraine and the pro-Russian regions in the east, said his spokesman in Berlin. 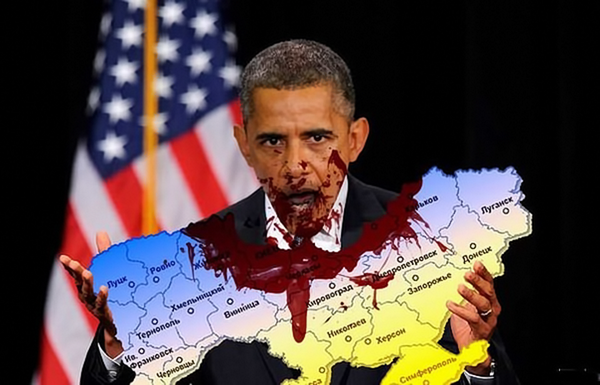 He will also travel to pro-Russian east Ukraine. Lawmakers held a session in Ukraine's parliament on Tuesday after eastern parts of the country voted to break away from Kiev on Sunday. Vitali Klitschko, the Udar party leader, told members that the upcoming presidential election was the best bet for stabilising the situation in the country - as Germany's foreign minister also told journalists earlier in the day. Ukraine's acting prime minister is meeting with the European Commission in Brussels to discuss the ongoing crisis in the east. It's the latest diplomacy efforts to end the unrest less than two weeks from presidential elections. Separatists in eastern Ukraine claimed that the self-styled governor of the rebel-held Lugansk region survived an assassination attempt on Tuesday, two days after the region held a referendum on self rule. The rebel official, Valery Bolotov, was wounded when unidentified assailants shot at his car, a spokesman for the rebels told reporters. 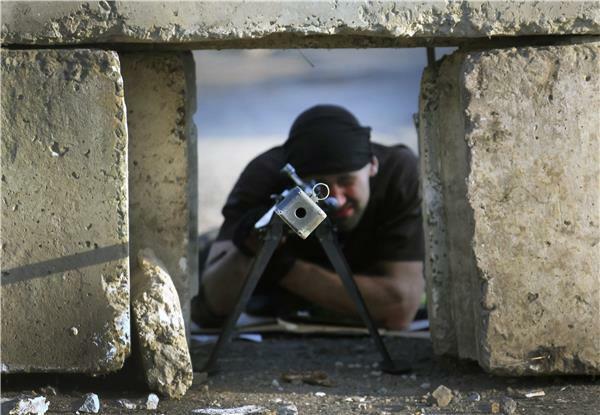 "They shot with automatic weapons," the spokesman Vasily Nikitin said, adding that Bolotov was hospitalised. "He lost a lot of blood but everything is fine now. His life is not in danger." 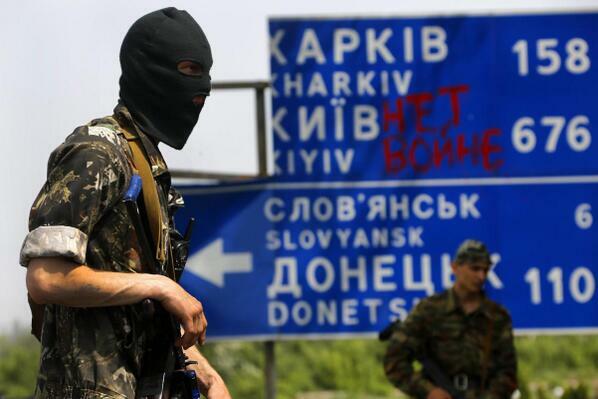 Separatist forces in Donetsk have reportedly clashed with Ukraine's armed units, RIA news agency is reporting. No casualties have been confirmed, but an armoured personnel carrier belonging to Kiev has been hit. Ukraine's PM has called on Russia to stop using gas "as a new type of weapon" as the debate of fuel supplies continues. "We are ready for a market-based approach and Russia is to stop using natural gas as another, or a new type of Russian weapon." Unconfirmed reports six Ukrainian soldiers have been killed, eight wounded, in Eastern Ukraine [Reuters] More soon. 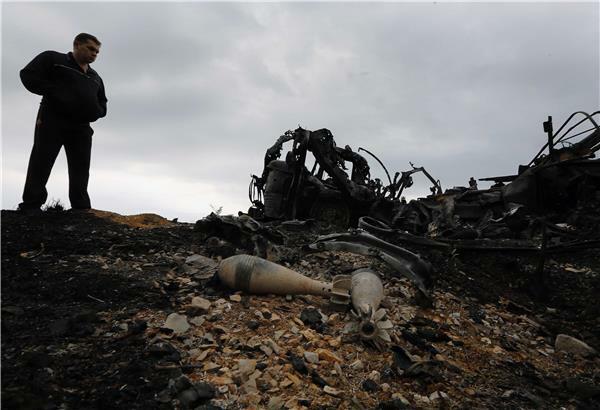 A man stands near the remains of mortar shells by a destroyed Ukrainian army mobile mortar truck in the eastern Ukrainian village of Oktyabrskoe. Ukrainian politician and presidential candidate Yulia Tymoshenko takes part in talks in Kiev. Ukrainian politicians and civil groups gathered for talks on how to quell a pro-Russian rebellion in the east, but Kiev's refusal to let separatists take part cast doubt on whether the meeting could defuse the crisis. Hungary is not demanding that the ethnic Hungarian minority in western Ukraine be given territorial autonomy, Foreign Minister Janos Martonyi said on Wednesday. He spoke two days after newly re-elected Prime Minister Viktor Orban said Hungary would stand up for its rights within the European Union and wants autonomy for ethnic Hungarians living beyond its borders in central Europe, including Ukraine. Russian schoolchildren have been offered a new way to learn the alphabet in the wake of the Ukraine crisis. Behind the project is a pro-Kremlin youth movement named Set (Network) which says its version of the ABCs symbolises Russia's values and helps promote patriotism among schoolchildren. "This is a collection of key national symbols," a spokesman for the youth movement, Gleb Samokhvalov, told AFP. The project has seen the creation of a teaching tool showing each letter in the 33-letter Russian alphabet accompanied by a word and picture. Nina Vvedenskaya, an education official in the Irkutsk administration, told AFP the presentation of the alphabet at the school was an "oversight". 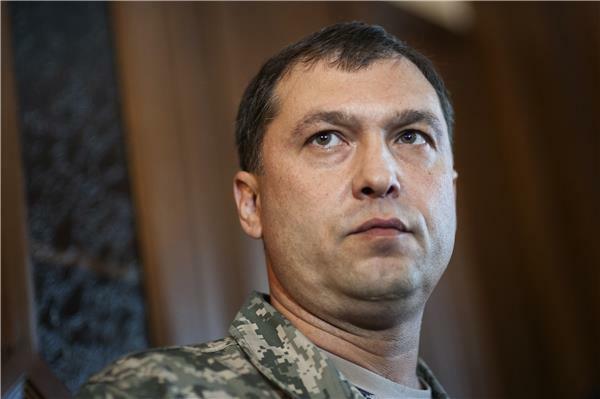 Ukraine's acting president says the army destroyed two military bases of pro-Russian rebels in operations overnight. Oleksandr Turchynov told the parliament on Thursday that the Ukrainian forces destroyed a military base outside the town of Kramatorsk, 150 kilometres west of the Russian border, on Wednesday night. Ukraine's government is continuing what it calls an "anti-terrorism" operation in the country's east. There is also growing concern that nationalist armed groups, like the Right Sector, are signing up to help them. The Right Sector was a violent, but instrumental part of the protests that ousted Viktor Yanukovich, Ukraine's former president, in February. Al Jazeera's Kim Vinnell reports from Dessna. The US has warned that the West will inflict further sanctions on Russia if its allies in Ukraine disrupt the country's May 25 presidential election. Our message is really quite simple. 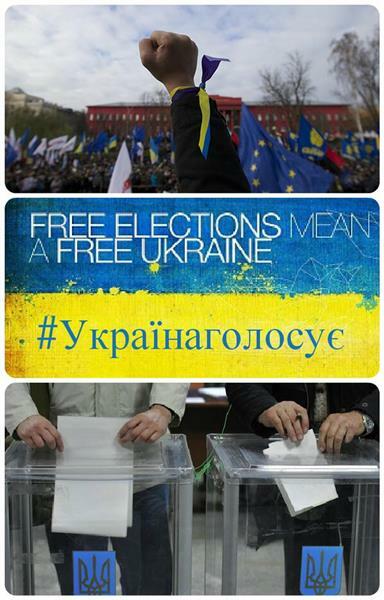 Let Ukraine vote. Let the Ukrainian people choose their future. Amid deteriorating relations over Ukraine, Moscow has told Washington that it will not extend cooperation over the International Space Station. Instead, Russia plans to concentrate on its own space projects. The move came after the US placed sanctions on high-tech equipment that could help Russia's military. Al Jazeera's Nadim Baba reports from Moscow. ArcelorMittal, the world's largest steelmaker, has said it was lobbying the European Union not to intensify sanctions against Russia over its actions in neighbouring Ukraine. The West has to date focused on individuals and a handful of companies in protest over Russia's annexation of Ukraine's Crimea Peninsula, but has threatened to target key sectors such as mining and natural gas if the Kremlin disrupts Ukrainian elections later this month. "Our company is not in favour of economic sanctions," Robrecht Himpe, ArcelorMittal Europe's head of business optimisation told Reuters news agency, adding that the industry was lobbying against them. "We have not seen cases where sanctions bring us forward. There is a risk they can snowball and a risk that the other side will fire back. 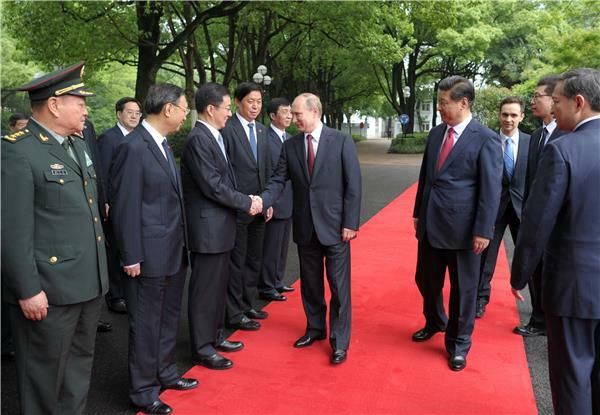 We depend on Russia for iron ore, coal and gas." Himpe was referring to the reliance of Europe in general on Russian supplies. ArcelorMittal says it is not dependent on Russian resources. Moscow could easily hurt the EU back, given that it supplies the bloc with about a third of its gas, with about half of that routed through Ukraine. Steelworkers in Ukraine are helping to push pro-Russia activists out of the government buildings that they have been occupying in the country's east. The steelworkers are employees of a billionaire Ukrainian businessman, Rinat Akhmetov. He asked them to help local police improve security in the city of Mariupol. But residents have accused Akhmetov of using his workers for public relations purposes. Al Jazeera's Kim Vinnell reports from Mariupol. Almost two million people in eastern Ukraine could be prevented from voting in the presidential election if the government fails to ensure security in rebel areas, the country's election body warned on Saturday. The Central Election Commission said it could be impossible to organise the May 25 vote in the eastern regions of Donetsk and Lugansk, where pro-Russian rebels fighting Kiev's rule have declared their own independent republics. "With the information we have to hand at the moment, we cannot organise preparations for the vote because of illegal actions by unknown people," the commission said in a statement, referring to the separatists. The commission cited cases of "threats and physical pressure" against local election officials and said there were a number of offices where the security of its staff could not be assured. Pro-Russian separatist leader Valery Bolotov was detained by Ukrainian border guards on Saturday then freed by armed supporters in a firefight at the checkpoint, a Ukrainian spokesman said. The incident took place just a few hours before peace talks in the eastern town of Kharkiv. 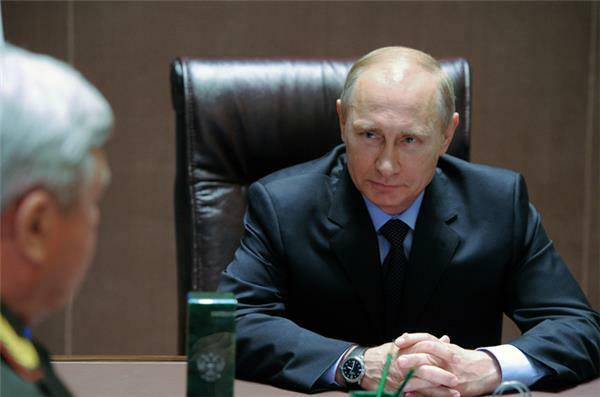 The talks were initiated by Ukrainian authorities to ease the situation in east. Bolotov, the self-proclaimed governor of Ukraine's eastern Luhansk region, was detained at the checkpoint as he returned from treatment in Russia for wounds he suffered in an attack on Tuesday, border guards spokesman Oleh Slobodyan said. 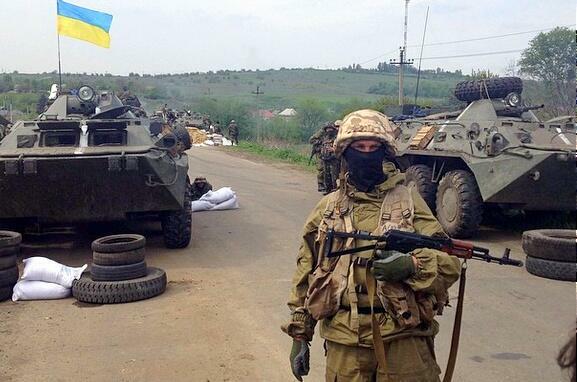 About 200 armed separatists went to the checkpoint and demanded his release. A fight broke out in which the separatists used grenades and machine guns. All the details of the build-up of pro-Russia protests around Ukraine. The separatist leaders of Ukraine's eastern regions have launched a recruitment drive for their armed upraising against the Kiev government. We have achieved victories and more are to come. We need strong men to protect our republic because civil war is raging. Many men are falling every day, so we need more. Ukrainians are preparing to vote in next week's presidential election. Separatists in the east of the country, however, are trying to disrupt the poll and are forcefully closing down local electoral buildings. In the city of Donetsk, some people said they are too scared to go to the polling stations. Al Jazeera's Kim Vinnell reports from Donetsk. 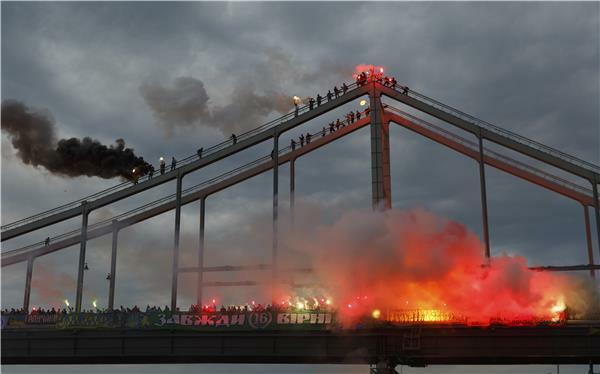 About two thousand football fans of six Ukrainian clubs burn flares in support of Single Ukraine at a bridge across Dnieper River. "Due to the end of the planned spring training of troops that included their movement to Rostov, Belgorod, and Bryansk regions, the Russian president ordered... troops participating in the drills to return to their permanent bases." Prime Minister Arseniy Yatsenyuk said Monday that Ukraine would get a "legitimate" president after next weekend's election despite some expected voting problems in the east. Election commission officials have warned that security concerns may make it difficult if not impossible to stage Sunday's poll in parts of rebel-held areas in the eastern industrial belt. 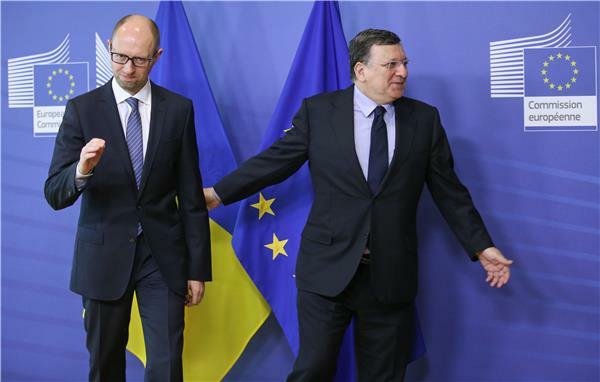 "In certain districts (in the east) it will be difficult to organise the election," Yatsenyuk acknowledged during a meeting with regional governors. "But it affects very few areas and will not have any influence on voting. The United States on Monday demanded "firm evidence" that Russia was withdrawing its forces from the borders of Ukraine, saying it had so far seen no sign of such a redeployment. Russia's top general has told the chairman of NATO's Military Committee by telephone that the Atlantic bloc's increased military activity near the Russian border is not helping European security, the Defence Ministry said on Monday. "Cautious" being the key term here. Multi-billionaire Rinat Akhmetov, Ukraine's richest man who owns factories across the troubled east, called on his employees to hold peaceful protests on Tuesday in defiance of separatists who plan to disrupt a May 25 presidential election. In his strongest condemnation yet of the separatists, who have seized strategic points in towns in the heavily industrialised Russian-speaking east, Akhmetov urged people to unite "for Donbass without weapons! For Donbass without masks!" Akhmetov, a coal and steel magnate who has an estimated 300,000 employees on his payroll, said Ukrainians should stage a "peaceful warning protest" at their companies from noon on Tuesday when sirens would sound across the region.